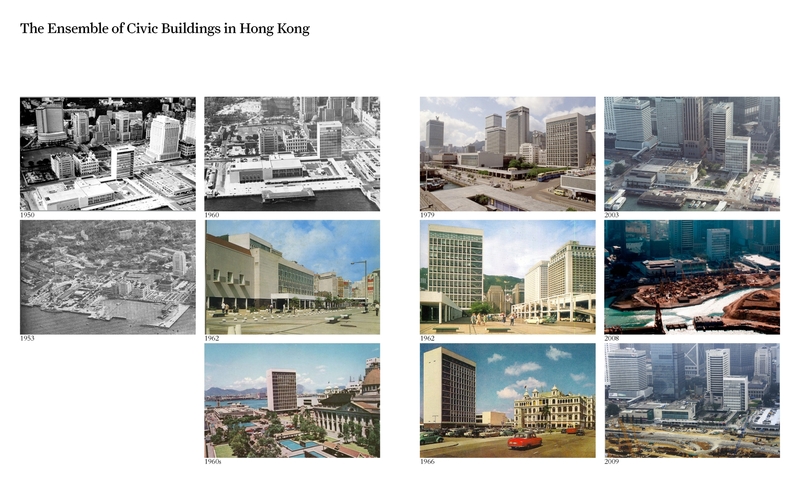 WHERE Edinburgh Place [愛丁堡廣場] and its modern era urban ensemble of City Hall [大會堂] in Hong Kong. 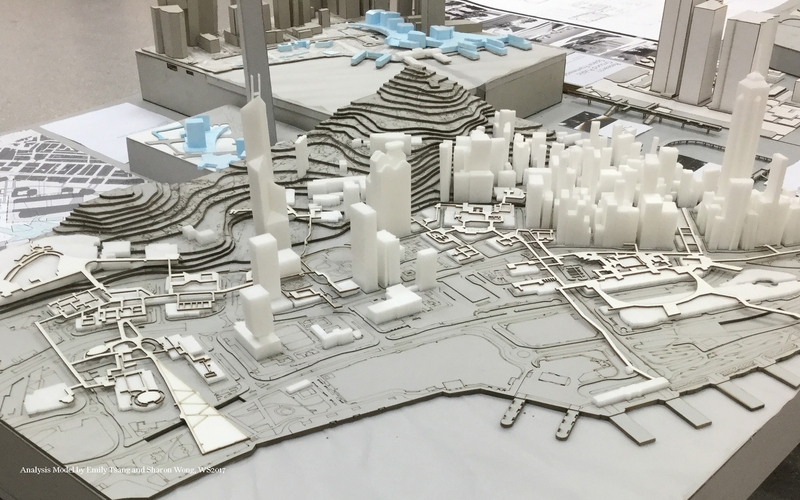 RESEARCH & PROPOSITIONS The year 3 students of the WS2017 and SS2018 design studios position their architectural propositions as urban strategies for conserving the historically-important civic corridor and former urban face of Hong Kong, composed around Edinburgh Place, while accommodating the economic and infrastructural pressures prioritized by the SAR’s developmentalist state. 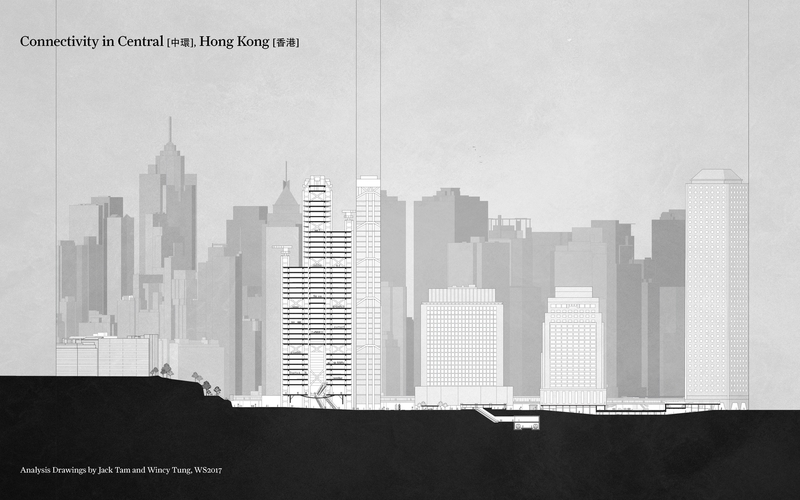 The studio research finds that the 2006 land reclamation and northward relocation of the Star Ferry takes away the threshold role City Hall played, both symbolically and physically, alongside the former Star Ferry, on the Victoria Harbour, and as result also diminishes Edinburgh Place’s civic importance. 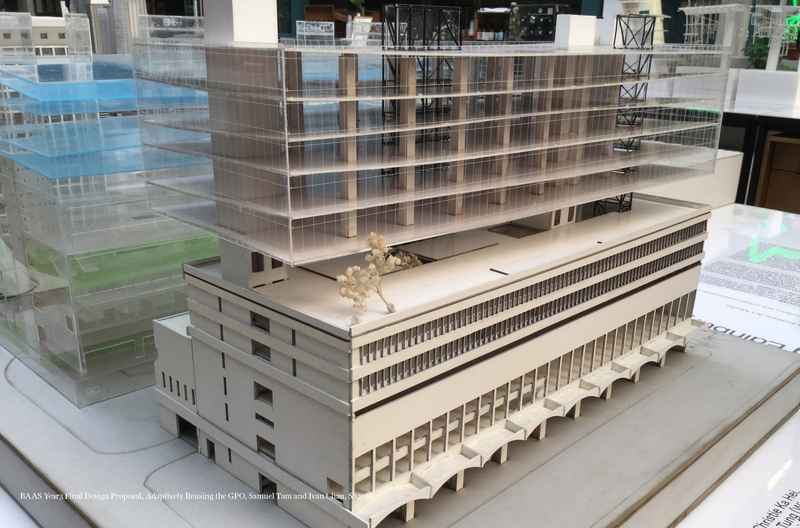 The current plan to demolish the General Post Office (GPO) and the Star Ferry Car Park (SFCP) and replace it with a large-scale commercial podium in the future further dismantles the east-west civic corridor that City Hall, the GPO and the SFCP composes as the urban face of Hong Kong along Victoria Harbor. 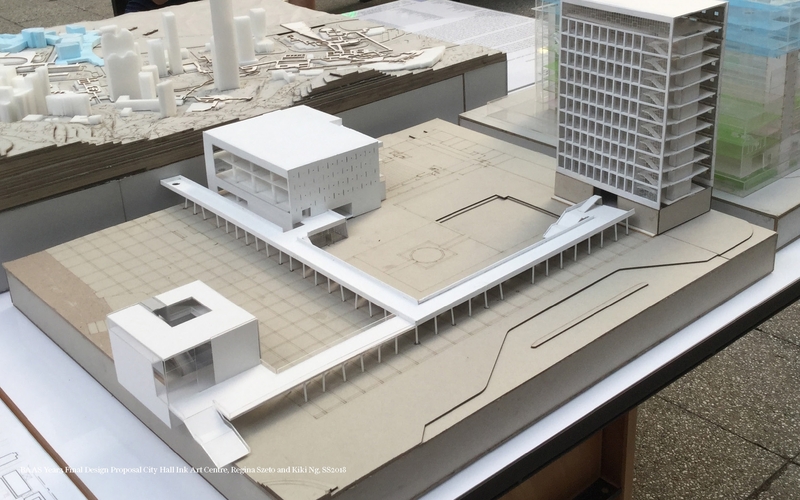 In response, one of the studio’s projects proposes a densification and partial adaptive reuse of the GPO, which not only preserves the important postal function the GPO plays in Central’s financial district but also accommodates the commercial demands on the prime waterfront property. 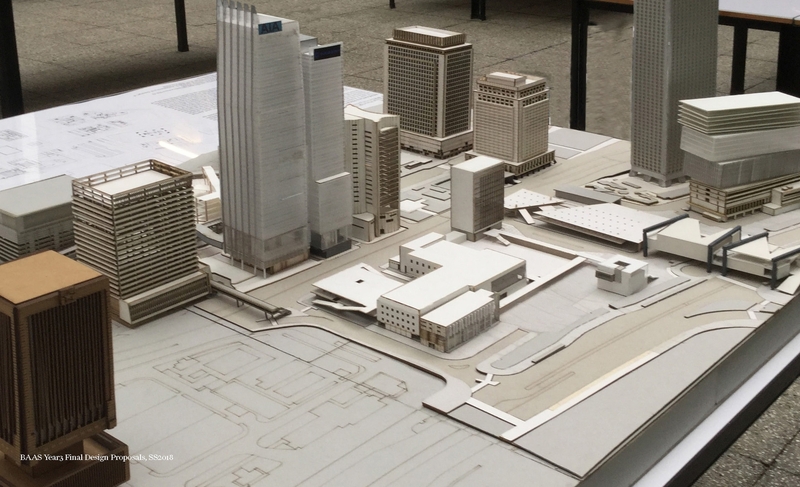 Another proposes an Ink Art Centre, updating the City Hall ensemble given its newly landlocked site, and spatially re-define Edinburgh Place with a program coming out of the current usage patterns of City Hall. 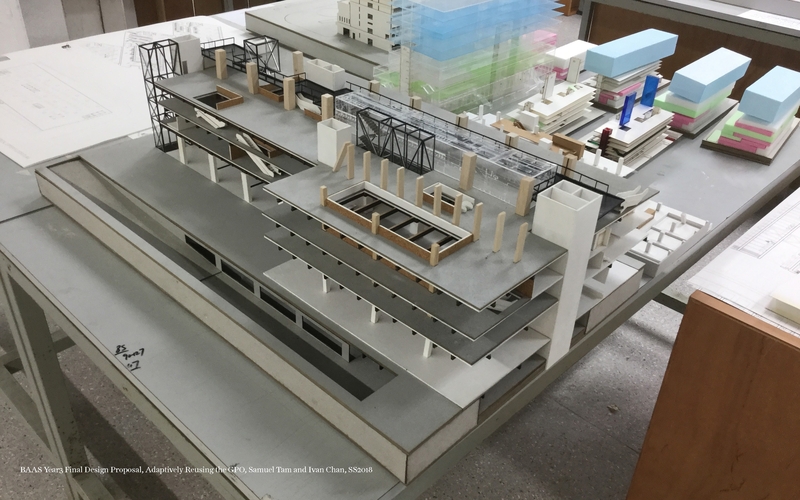 Others propose above-ground connections, crossing Connaught and Lung Wo Roads, using these connections to also house publicly accessible sporting and amenities. 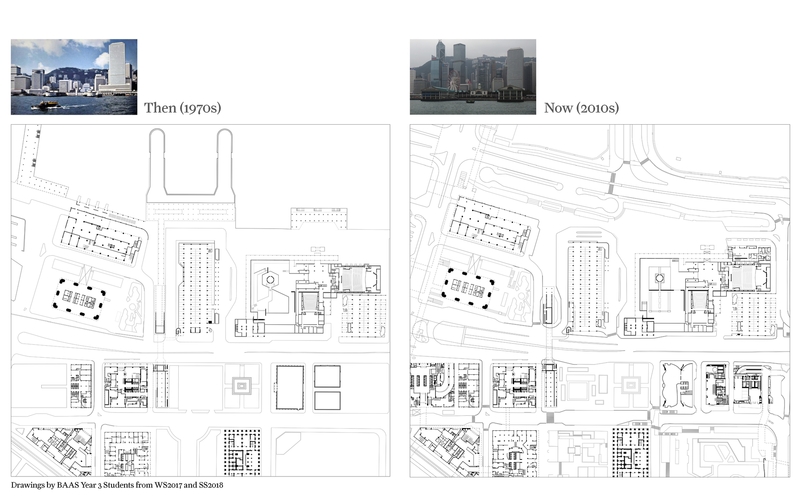 Similarly, a proposal for the reuse of the SFCP and its adjacent public spaces facilitates a future connection to the new waterfront piers while also retaining the important historic axial connection across Connaught Road to Statue Square. 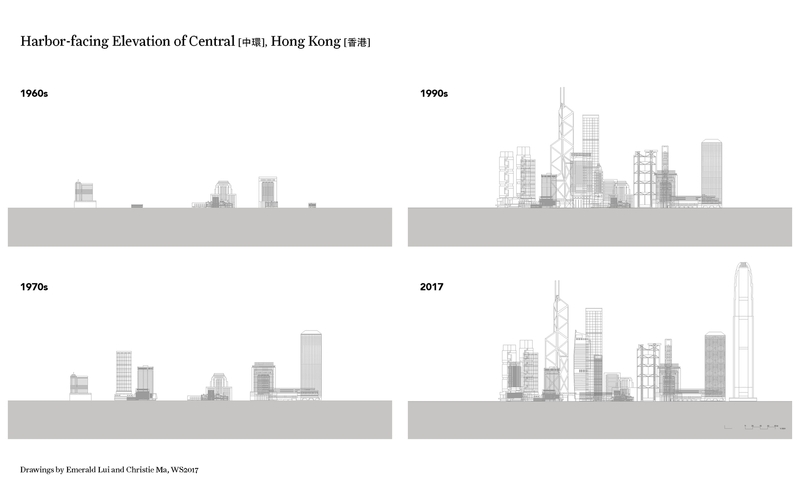 Together, the projects posit the civic future of Edinburgh Place and its built environment as crucial to the identity of Hong Kong.